I’ve never played a single video game of Angry Birds. We don’t even have access to the Angry Birds video game but for some reason my boys LOVE all things Angry Birds. That’s why we came up with these Angry Birds balloon games. What we loved about this balloon craft is that it’s so versatile and they played with it for a good hour. Here are some of the things they did with their Angry Birds balloons. We played some of these at our boys birthday party and the boys loved it so much that they continued the fun weeks later after their party. 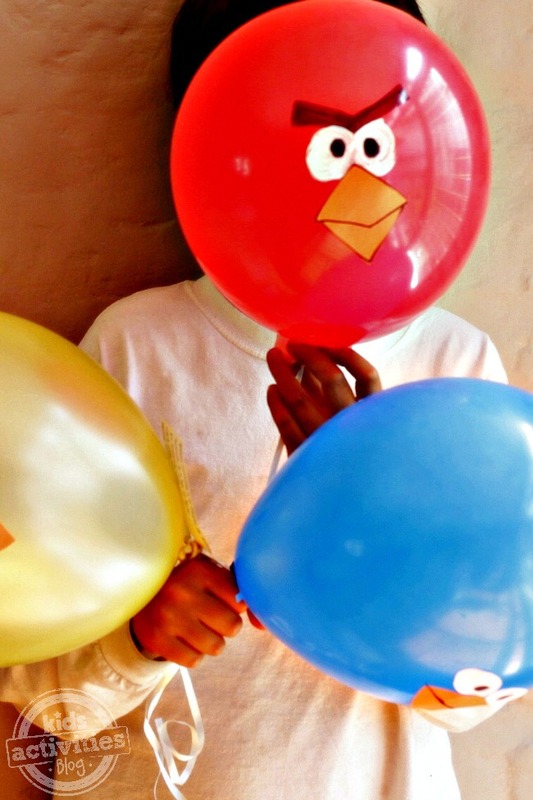 Here are some tips for getting the Angry Bird faces on your balloons. I tried painting them on because it seemed easier than cutting tons of faces out but that didn’t work so then I tried using a magic marker and that worked fine but it was still time consuming. So finally, I gave in to cutting out little Angry bird faces that I found online and glued them on. Don’t Drop the Angry Bird – Just bounce it around in the air and don’t let them fall. 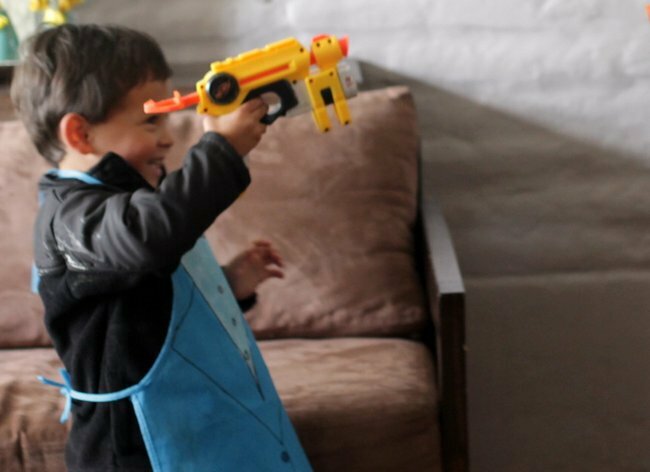 Angry Bird Target Practice – They lined them up and tried to shoot them with their dart gun if you’re playing inside or a slingshot if you’re playing outside. We didn’t do this but you can easily make some Green Pig bean bags and they can try to hit the Angry Bird balloons. Angry Birds Water Fights – For this one you’ll need to be outside. You don’t necessarily need warm weather. If it’s still chilly have them wear their rain gear and give them the angry birds water balloons. Looking for more balloon fun? Checkout this post Make your own balloon juggling balls. Please, please, please make sure your child is at a developmental age where balloon parts and pieces will NOT go into their mouth. And as always, supervision is KEY!